Need to take a defensive driver class in Arlington? Looking for an easy course that is easy to understand and simple to complete? IDriveTexas.com provides Tarrant County drivers with a simple defensive driving program that is easy to register for and straightforward to take. 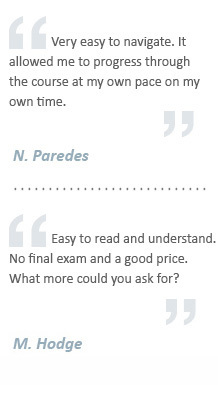 There may be multiple choice quizzes at the end of each chapter, but there's no final exam at the end of the course! Everything is online and can be completed from any computer with internet access. With over 233 miles of freeways in Texas, and over 19 million miles driven daily by commuters just like yourself, the need for a convenient ticket dismissal class is growing faster than ever. Typical classroom schools will treat you as just another number, but with I Drive Texas, your TEA-approved course is formulated to fit specifically to your needs. How Can I Dismiss My Ticket? Your chapters each end with a 10-question quiz, which you will need to pass before you can move onto the next chapter. But once you've passed your last quiz, you're completely done with the course, because there's no final exam! Getting your Tarrant County traffic violation dismissed by the court and keeping your insurance rates low have never been this easy and affordable! Our online, Tarrant County Approved Defensive Driving program can be completed completely over the internet in just hours. 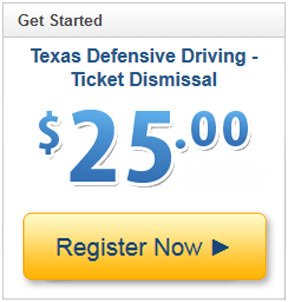 And at just $25, it's the cheapest price allowed for a Defensive Driving Program under Texas law. Make Sure to Get Your Driving Record! The Texas DPS requires a copy of your official driving record, along with the Certificate of Completion from your defensive driving class, in order to dismiss your traffic ticket. You may order your certified 3A Texas Driving Record along with your defensive driving course, and take care of both requirements at the same time!